Welcome to the Aspen blog hop! If you are following along, you got here from Tiare's BLOG. If you have stumbled upon my blog or got here from Facebook, you can start back at the beginning to see ALL the amazing creativity from the bloggers this month HERE at Club Scrap Creates. Here's the card I created with my Aspen kit. I call the technique "layering with ink" because there are no paper layers. In fact, the only paper used is a 5.5x8.5 piece of Almond paper. 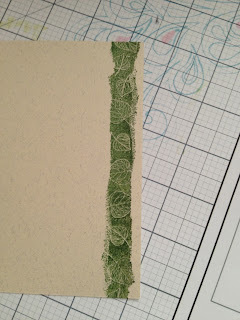 Ink Layer 1 uses the 5.5x8.5 Almond paper folded in half, Club Scrap Hybrid Ink (Moss), and the leaf border stamp from the Aspen Borders and Backgrounds UM sheet. 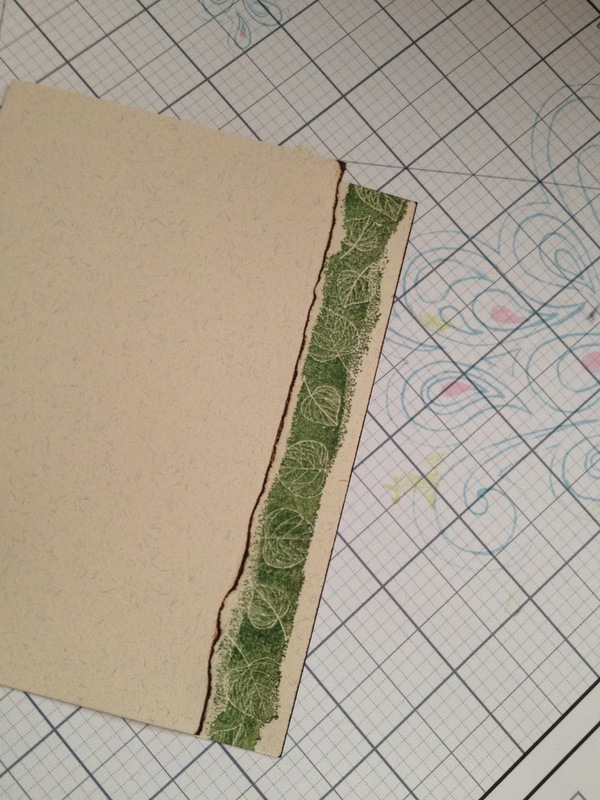 For Ink Layer 2, tear off 3/4 inch from the front of the card and ink with Club Scrap Hybrid ink (Earth). 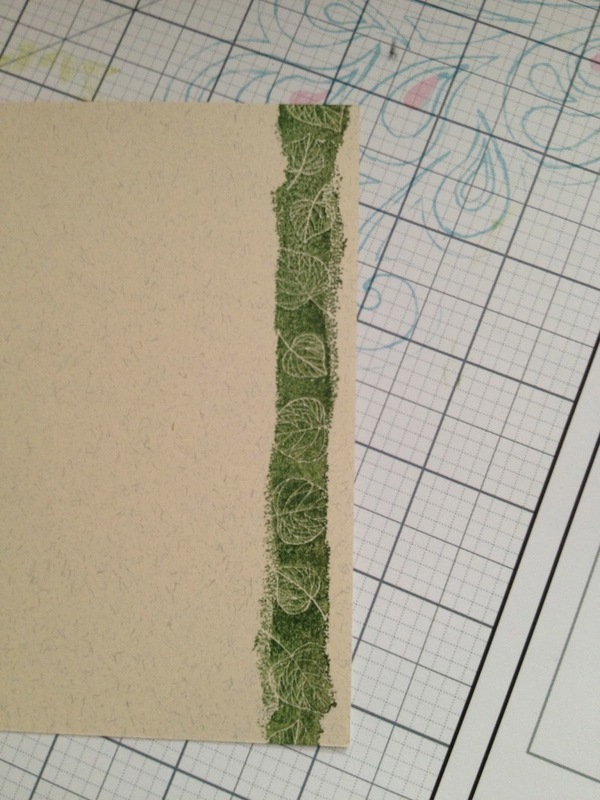 3rd Ink Layering Technique uses the group of trees stamp (also on the Aspen Borders & Backgrounds sheet), the same Moss ink, and a brown marker. I stamped once, then again (without reinking the stamp) a little higher and to the right to create more trees in the distance. I wanted more trees behind those on the left, so I inked the stamp again and stamped onto a scrap paper, then stamped some background trees on the left side of the first image. For the greeting, I used a 4th ink layering technique with Moss and Earth CS inks, Post-It notes, an ink applicator, and the Happy Birthday stamp from the Aspen Greeting unmounted sheet. For this technique, I ripped a little bit off the sticky ends off two Post-It notes, covered the area where I stamped the greeting, and lightly sponged ink over the tree trunks. Repositioning the Post-It notes, I inked under the greeting. 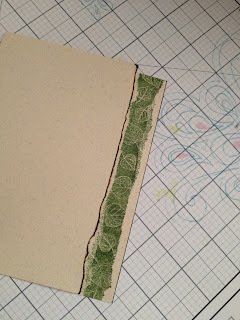 And that is how I used inks to create layering on my Aspen card. I have to admit that I was very tempted to add ribbon or other embellishing, but I held back and let inks take center stage. Bonus project: For Christmas, my oldest daughter gave me a framed picture of her and her fiance from their engagement photo shoot. I'll have to ask her for another picture for the frame, because I just had to create a page! The papers, green ribbon, and buttons are from Aspen, while the words and alpha stickers are from Bridges (February 2006). Leaves are from my stash. Thank you for visiting my blog. 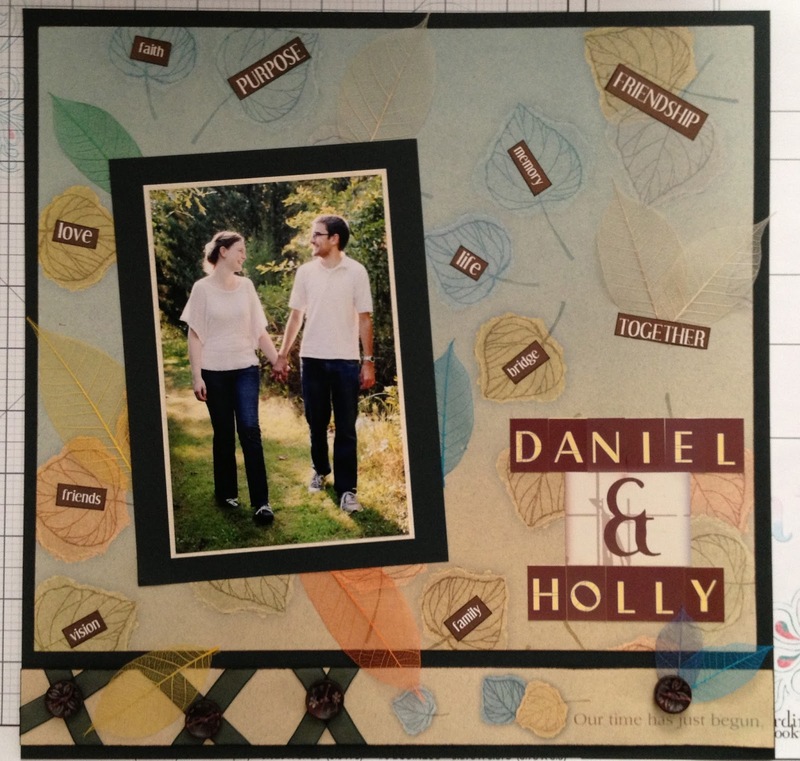 I hope you have been inspired to create something with your Aspen kit. If you don't have a kit, you can get one HERE. The next stop on the hop is Marya's blog. Click HERE. Lisa your blog stuff is very cool and I really like the card. Happy new year to you and yours. Wow...what great visual dimension for a one-layer card! Very clever and well done. Congrats to the lovely couple, too! Great card! Congrats to the couple! Wonderful card and page. Thanks for sharing how you did this. Wishing you a ver Happy and Creative 2014! Amazing how you created so many layers with inks! Beautiful, Lisa! (Great layout, too!) Thanks for hopping along! Lisa, I'm loving how you were able to create layer-less layers! This is such a great way to get full use out of your stamps. Love the layout too! Very effective layers, the trees look especially good. TFS! I love all the layers! You're right, it doesn't need any embellishing. The ink says it all. Cool card and Page! Congrats!! Great technique for the inked layers -- thanks for the inspiration. Awesome card! I love all the layering you did with ink. 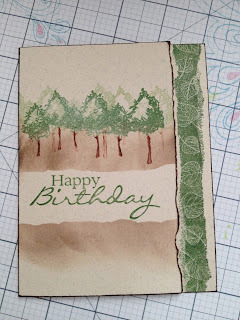 Cool layering/stamping action...and that layout is so SWEET! 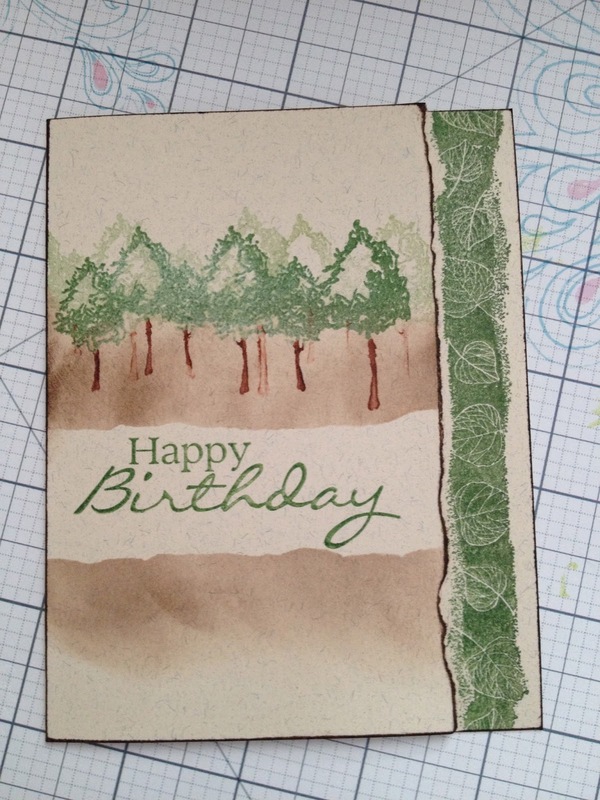 Wonderful card and idea to create all the layers with just inks Lisa. Love the look. And the layout is beautiful! Thanks for the ink technique - always like to try different techniques. Your one layer card is awesome! Glad you resisted the urge to embellish--its perfect as is. And your lay-out is fun! Great ideas. Such a pretty card. Wonderful card and thanks for the details, great page too, thanks for sharing. Love that border stamp on the side of the cards...about to make some more Aspen cards in a few minutes so I'm going to pull it out!